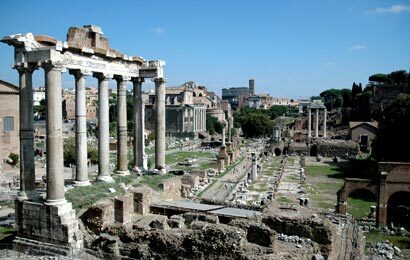 All Top Sites of Ancient Rome in One Morning with Priority Passes to Colosseum and Roman Forum. For centuries, Rome, the eternal city, was the center of the known world. Step by step your private tour guide will accompany you around the monuments of Ancient Rome, bringing history and its protagonists to life. The birth of Rome and the Etruscan kings, the story of Rome's experiment with republicanism, peopled by the such giants as Caesar, Pompeii, Cato and Cicero, the lives of Emperors from Augustus to Constantine, the many reasons of Rome's fall, all narrated and explained in one of the most spectacular settings.